As in any company, it is only as good as its people. The Pro Systems team is comprised of some of the most accomplished audio visual and event production professionals in the industry. Matt got his start in the event industry in 2001 when he was offered a job loading in/out bands for a little rent money, and a free t-shirt at a local music venue in Madison Wisconsin. That quickly progressed to a position in the lighting department at a local production company where he stayed for 3 years. After working as a freelancer for 2 years in central Florida, he made his way to San Diego where he began expanding past his live music background into corporate and sporting events. Matt has been in San Diego since 2005 working as a Lighting Designer and Production Manager. In January of 2016 he decided to leave the freelance world behind and come on board with Pro Systems as a full time Production Manager and LD. He has helped expand our 3D drafting, design, and event management services. 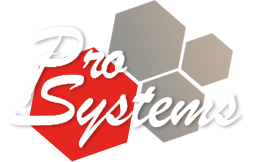 In January 2018, in addition to his Production Manager responsibilities, Matt took on the role of Pro Systems' General Manager. Matt resides in San Diego with his wife and daughter. After spending 10 years in outside sales and sales management, Dorothy joined the Pro Systems team in 2013 as Office Administrator to manage day-to-day administrative functions, as well as assist in growth management for this fast growing company. In 2018, she took on the role of Director of Business Strategies to manage social media presence, human resources and anything concerning the direction and growth of the company. Dorothy grew up in San Diego and has worked in this city all of her life. She is proud to be part of a company that services San Diego festivals, corporations, restaurants and nightclubs. Juan began his AV career in high school, setting up equipment at parties and performing as a DJ. He transitioned to working for a local AV event production company where he learned lighting programming and grew to the position of Lighting Designer. Juan continued to gain experience as a Lighting Designer, Programmer and Technician though another local event production company. He joined the Pro Systems team in 2013 as a Lead Lighting Designer/Programmer and Master Electrician. He works here on a high technical level of lighting design and programming. Juan is known for his happy attitude and "can do" mentality. He not only brings a high level of expertise and experience, he is also a pleasure to work with. Noah began his audio/visual career at a very early age doing stage hand and warehouse work for Pro Systems. Very quickly, he discovered he had a talent and a passion for audio and he has continued to develop his audio skills through on the job experience and professional training. In 2018, Noah was promoted to Audio Department Manager due to his expertise as a System Technician and Audio Engineer. Noah is known for his dedication to the team and to the job at hand. Paul Sewell has worked in event production for over 10 years. As a longtime sponsored skateboarder, he began freelancing at events to be able to accommodate the demands of his skate touring schedule. As time went on, his passion for high quality live events grew and he joined the Pro Systems team full-time as an Audio Visual Technician. Paul’s passion for excellence, forward-thinking organizational skills, and team mentality make him a great fit for the role of Warehouse Manager, which he assumed in 2018.